We’re creating a community of young people who are connected in a deep way through sharing rich experiences of personal growth and self-awareness. We had so many amazing donations for our comp last term that we have enough for another round! So the member of The Group, or anyone from the outside community, who performs the kindest, most creative Random Act of Kindness wins an awesome hamper including amazing group gift vouchers, yummy things, free passes and 1 term free membership at The Group! A community of young people. The Group is a series of programs which are designed to allow young people to learn and practice life skills in a really fun way. At The Group, we’re passionate about kids growing up with the tools they need to navigate life in a creative, inspired and confident way. The Group gives young people an awesome edge in that they start to think about things like empathy, collaboration, mindfulness, gratitude, their passion, what it means to be a good listener, respecting others opinions...all at a very young age. "George (11) had the most fantastic time at his recent Survivor Camp. He didn't want it to end. He made sure that he re-told every last single minute of his time at the camp. Every little detail of every challenge set for the Clans; highlighting who excelled in the different challenges set." "Thank you Leah & Ben & all of the children. Mylo & Ella had a fantastic time on the Amazing Race. They came home exhausted & happy with lots of tales, new experiences & new friends. Already looking forward to the next one!" "I thought it was a great experience 10/10." "I would recommend Making Awesome Choices because... the best thing I learnt from this workshop was how my energy can be used to my advantage when following my passions." "I would recommend Making Awesome Choices because... it helped me clarify parts of what I want to do as a career/what would suit me." "I would recommend Making Awesome Choices because... it gives a great perspective on career choice. You’ll learn something about yourself throughout the process." "That was great. I’m going to change the subjects I just chose at school. I can see they’re not right for me and I chose them for the wrong reasons. My school has done a lot of workshops on how to choose subjects and this is the best I’ve ever done." "I would recommend The Group because... it’s brain training"
"I would recommend The Group because... I get out of it learning and new games to play and most of them are funny. It reminds me of having parties." "I would recommend The Group because... it is a good experience to meet new friends and learn life lessons." "The group has been a great way for our kids to explore some of the critical skills that are foundational to them being able to learn & grow in a way that’s healthy and sustainable. They’ve really enjoyed it too!" "They are clearly thriving being members of this little community and we cannot recommend The Group enough to friends, family and anyone who wants a wonderfully nurturing, fun learning environment for their child." "What students most appreciated was the trusting relationship that had been developed with Leah as well as the huge effort Leah put into the program to ensure full student engagement." Leah is a passionate teacher and mentor with more than 25 years experience making a difference to young people. She has written and implemented many programs that engage young people in creative, fun and vibrant ways to develop a solid sense of self-worth, self-expression and real leadership. Whether delivered in school, in her weekly program or on one of her overnight camps, the common thread in Leah’s curriculum is that each module is underpinned by her deep respect for young people and what they’re really capable of. Ben is an inspired leader with a commitment to making a difference to young people. He brings his passion for building and cooking which expands all of The Group's programs in fun and inventive ways. The foundation of the programs that Ben has created is his trust in young people and their ability to perform well beyond normal expectations. Ben is a wonderful mentor for young people, bringing his joyful sense of humour and creativity to every event. With a shortage of male teachers in our world, Ben has become an important role model for many lucky boys and girls. Leah and Ben both have current Level 4 First Aid Certificates and Working With Children Check Cards. Teams travel from city to bush using maps, timetables and a compass with a choice of transportation modes available including trains, trams, buses, and walking...but it’s a race so what will they choose? 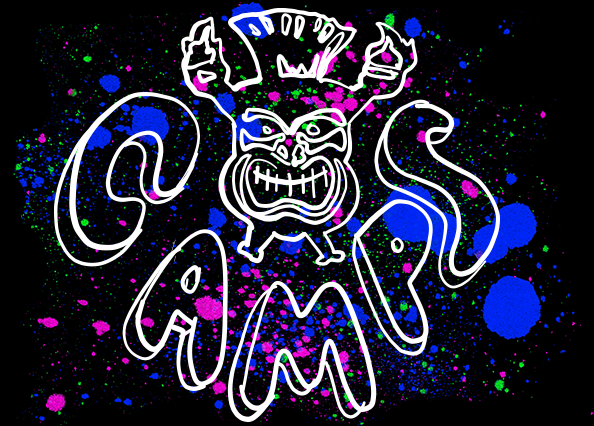 Design a t-shirt logo for the 6 TO 7 Transition Camp. Term 3 at The Group is going to be so lovely. Last term it was all about us, our passion, and taking it to the next level by creating a project in an area that we love. This term it’s all about other people and making a difference to them. We are thrilled to announce our upcoming 6 TO 7 Transition Camp for grade 6s! One weekend in November, grade 6 students from many schools will come together for a groundbreaking transition experience, giving them a brilliant start to a new chapter in life.